Where to Pre-Order Signed Copies (worldwide)! 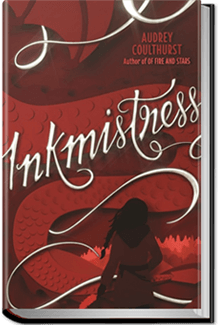 If you’d like to pre-order a signed copy of Inkmistress, please order from One More Page books as part of the NoVa Teen Book Festival (bonus, you can also order signed paperbacks of Of Fire and Stars)! If you’re in the US or Canada, you’re also eligible for some fun pre-order bonuses from me no matter where you pre-ordered from. Just email your pre-order receipt and mailing address to offireandstars(at)gmail(dot)com (US/Canada only). You’ll receive a signed bookplate, a dragon charm, and an Inkmistress bookmark.